Dr. Edward Crandall is an expert pulmonologist from Los Angeles, California. He has been practicing medicine for more than 2 decades and he is specialized in pulmonary disease. Dr. Crandall graduated from the Perelman School of Medicine at the University of Pennsylvania. He completed an internship in internal medicine at the University of Pennsylvania Health System and a fellowship in pulmonary disease at the University of Pennsylvania Health System. Dr. Crandall is a board-certified specialist in internal medicine and pulmonary disease. He has been active in the research field too; he contributed to several publications that explored the following topics: the activity of pulmonary vascular carbonic anhydrase, acinar-specific Tmem16A gene ablation in salivary glands, claudin 18’role in alveolar barrier properties, polystyrene nanoparticle exposure. He is a member of various medical organizations including the American Association for the Advancement of Science, the American College of Chest Physicians, the American Heart Association, the American Physiological Society, the American Society of Clinical Investigation, the American Thoracic Society. 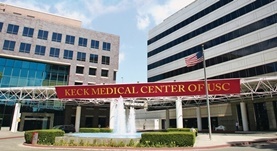 Dr. Crandall currently works for the Keck Hospital of USC. Dr. Edward Crandall has contributed to 3 publications. A fluid secretion pathway unmasked by acinar-specific Tmem16A gene ablation in the adult mouse salivary gland. Catalán, M. A.,Kondo, Y.,Peña-Munzenmayer, G.,Jaramillo, Y.,Liu, F.,Choi, S.,Crandall, E.,Borok, Z.,Flodby, P.,Shull, G. E.,Melvin, J. E.; Proc. Natl. Acad. Sci. U.S.A.. 2015 Feb 04. Knockout mice reveal key roles for claudin 18 in alveolar barrier properties and fluid homeostasis. Li, G.,Flodby, P.,Luo, J.,Kage, H.,Sipos, A.,Gao, D.,Ji, Y.,Beard, L. L.,Marconett, C. N.,Demaio, L.,Kim, Y. H.,Kim, K. J.,Laird-Offringa, I. A.,Minoo, P.,Liebler, J. ...; Am. J. Respir. Cell Mol. Biol.. 2014 Mar 05. Polystyrene nanoparticle exposure induces ion-selective pores in lipid bilayers. Negoda, A.,Kim, K. J.,Crandall, E. D.,Worden, R. M.; Biochim. Biophys. Acta. 2013 Sep.